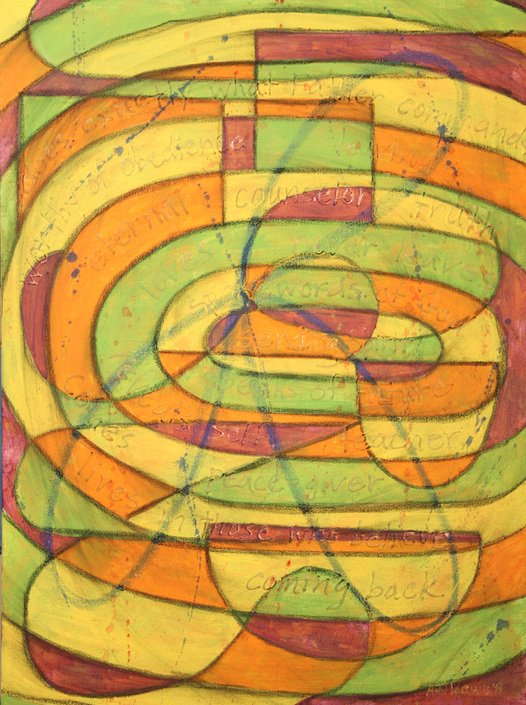 ﻿ ﻿ ﻿﻿ ﻿﻿ ﻿ Eternal is represented by the three looped oil pastel image behind the paint. Upon believing in Jesus as Savior, He grants us a “down payment” if you will called the Holy Spirit. This is the third entity in the Trinity and for those who give their lives to Jesus it is a direct connection to the Father. It is the Spirit that reveals God’s mysteries to people.